Here's Chris Baraniuk on people who make their own mechanical watches, from scratch: an intricate and delicate traditional craft that is, for once, not lost to time. He started reading forums, researching tools and materials, and checking out where parts could be acquired, such as cases, dials, hands, strap and movement. “It becomes like a big jigsaw puzzle, you try to work out what pieces will fit together,” he says. Thanks in part to the availability of information over the web, many people just as curious as [Matthew] Wright have embarked on their own home-made watch projects. And some have even launched businesses as a result. But how easy is it to get started? A quick hit on Google will bring up a wave of results that can kick things off for enthusiasts. There’s the Reddit Watch forum, the TimeZone Watch School, which offers courses via the web for a price, discussions on the WatchUSeek forum, and hundreds of YouTube videos aimed at makers. People can buy kits for assembling watches or individual parts online with relative ease, too. This is the exact rabbit-hole that Wright fell down when he started researching. “You see other people who’ve made little changes to watches, they’ve changed dials or whatever, and the next thing, I stumbled across websites where you can buy the cases completely empty,” he recalls. 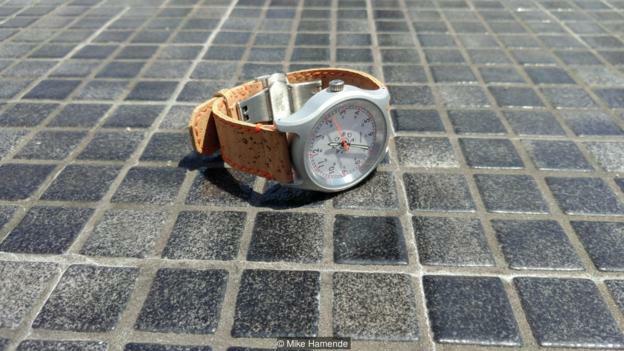 Pictured here is a watch made by Mike Hamende, who also took the photo. I once almost managed to put together a Lego kit and I'm still proud of myself.